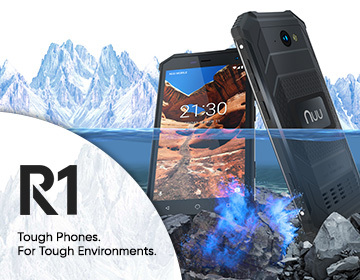 Your new NUU Mobile G3 smartphone features cameras on both the front and the back of the phone. In all, your phone has three camera lenses – one in the front, two in the back. Learn how to use them and you’ll take photos like a pro. The front camera is perfect for taking selfies and dialing up video chats. There’s a built-in LED selfie flash on the front of your G3 that works automatically when you snap a picture. Use the dual cameras on the rear of the phone for taking spectacular still photographs. The second rear camera works in concert with the first to produce stunning special effects. Your affordable G3 smartphone combines high-tech camera technology with a full suite of photo modes for taking professional-style photos. Select one of the five automatic modes, or switch to Professional mode to control all the aspects of your photography by hand. The G3 camera combines processing speed with state-of-the art technology to produce stunning visual images. The front camera takes photos at 13 megapixels (MP). The industry standard for high-powered smartphones is typically 12 MP. Front Camera. This camera is built to take selfies. The front camera includes power flash for low light environments, and a convenient fingerprint sensor helps take the best selfies possible. The 88-degree wide-angle lens helps you capture the best photos possible. Rear Cameras. The dual-rear cameras consist of a PureCel Plus main camera and depth-sensing secondary camera built with phase detection auto-focus to capture moments instantly. The G3’s perfected algorithm and dual-image signaling processors allows the dual cameras to work in tandem to produce the soft and natural Bokeh effect of an SLR camera. The G3’s Android operating system has multiple modes for shooting photos and video. Once you’ve taken your photo, the G3 provides you with editing tools to help you perfect the image. Portrait. This mode lets you blur the background when you take a portrait photo. Best employed with your phone in the vertical position. Beauty. Used for face portraits, this mode lets you adjust for skin tone and other variables. Available for use with front and rear cameras. Panoramic. Great for wide-angle shots, this mode lets you pan the camera and combine images. Best used with your phone in the horizontal position. Black and White. Located under the Effects option, this setting allows you to take black-and-white photos. Turn off your HDR setting for best results. Mono. Switching to monochrome mode is another way to take black-and-white photos. Let’s you adjust the greyscale to your wants and needs. Professional. The pro mode lets you manually adjust settings such as white balance, shutter speed and aperture, like you can on a DSLR camera. Video photography. To switch to video mode, tap the video-camera icon while in camera mode. You can shoot at 30 fps as the default, or slow the camera to 24 fps for a cinematic effect. Film video with the phone held horizontally for best results. The phone light remains on while you video. Like still photography, video is shot in 1080 resolution. Photo editing. Even the best photos can need a little touch-up. Edit your G3 phots by clicking into Google Photos. Tap the pencil icon to add color-filter effects, or to rotate or crop the image. Your photos never looked so good! NUU Mobile specializes in high-quality, budget-friendly smartphones that meet the demands of your life. The G3 unlocked smartphone is the perfect combination of beautiful design and high-quality features, and its shimmering, sapphire blue color instantly becomes a conversation piece every time you use it. To learn more, check it out at nuumobile.com.